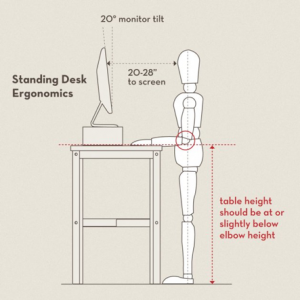 You should pay attention to the monitor height relative to the level of your eyes. If you work at the laptop I urgently recommend you to use a support. Otherwise, you can barely avoid neck and back aches. 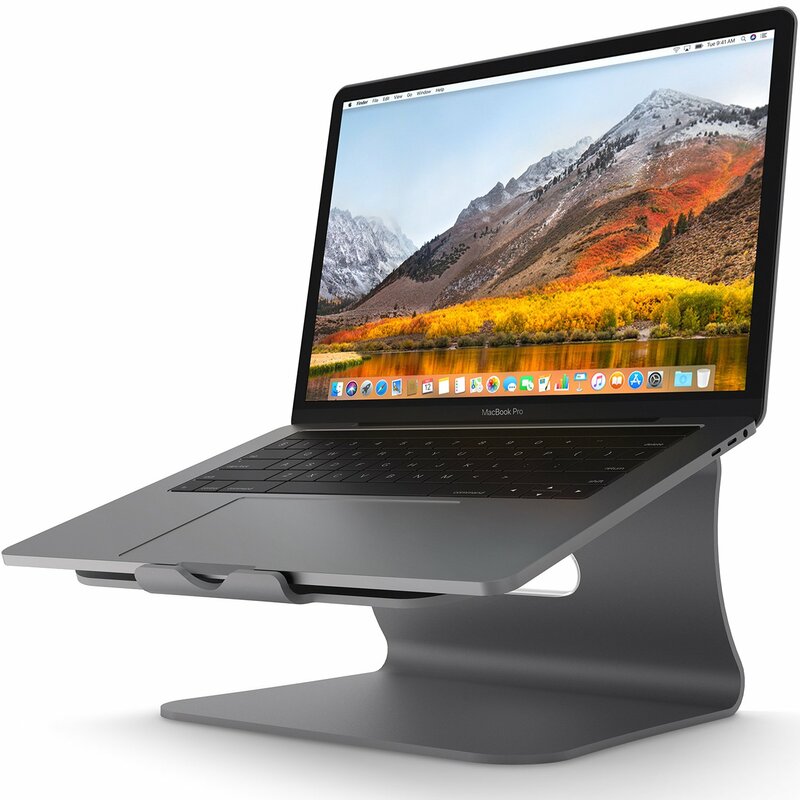 If you use a support you'll have to use the keyboard and the mouse (trackpad), which will provide you with even more comfort. Though, the best way is to connect a large external monitor. 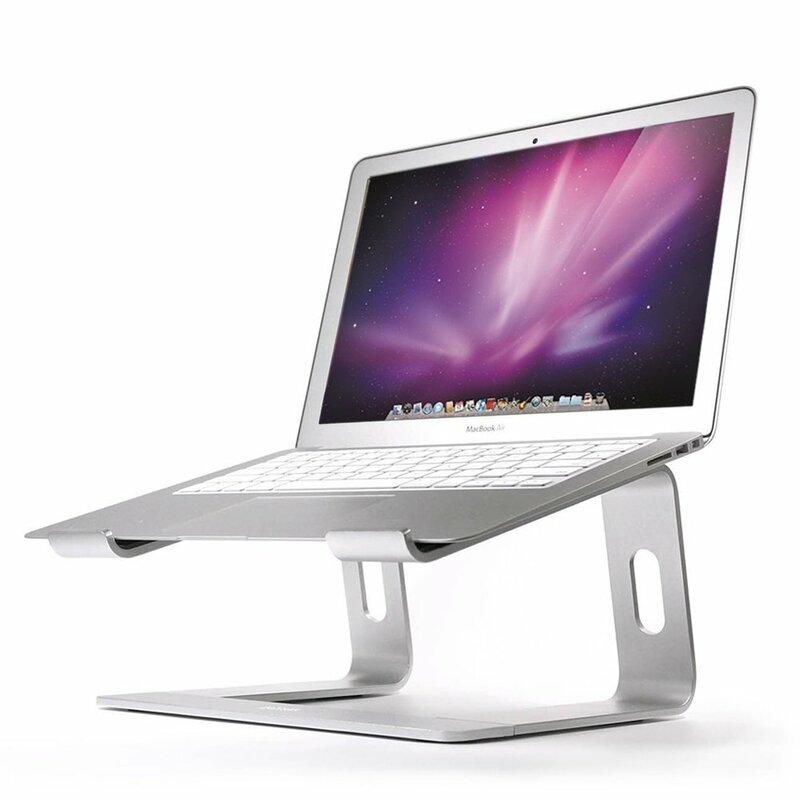 It will give you not only a suitable work angle but can also present much more information on the screen. Actually you'll have 2 screens: from the laptop and from the monitor. 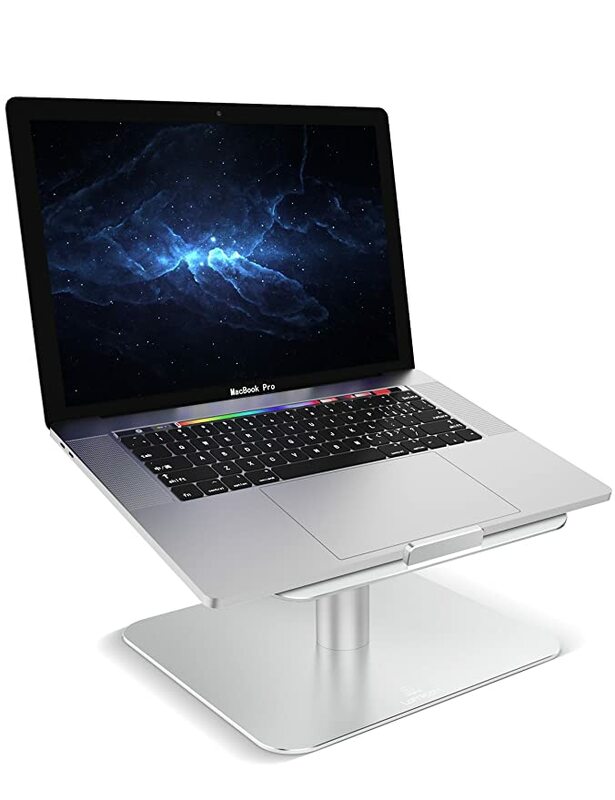 Thus, you can dedicate the laptop monitor for data that are used less often and the external monitor - for frequently used information. 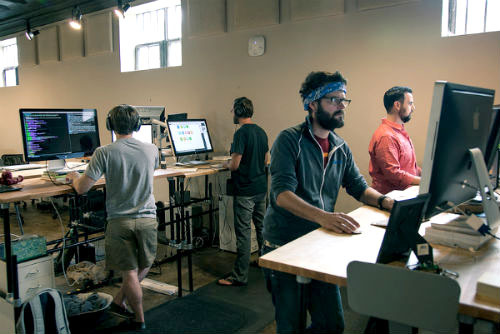 Nowadays, work in standing position has become a real boom and this is a well-grounded trend. Long sitting on a chair is unhealthy. 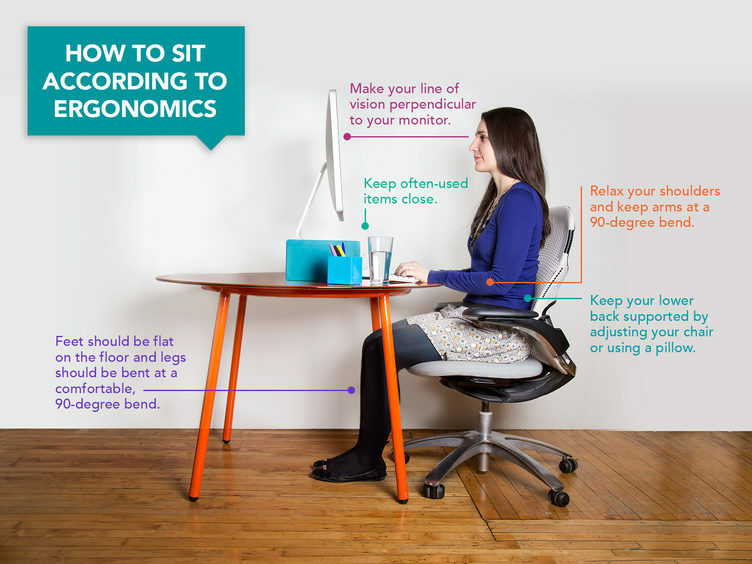 Work in standing position can help you escape many problems, like aches in neck, waist, pelvis, thoracic spine. And these are only "external" signs. Increased risk of cardiovascular diseases and stomach problems supplement the general picture. It can eliminate a back pain and neck pain. 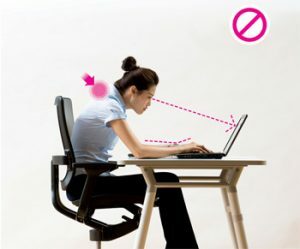 Your neck and back are under higher pressure while you sitting. You'll hardly have a desire to continue sedentary work after looking at the list of problems caused by it. 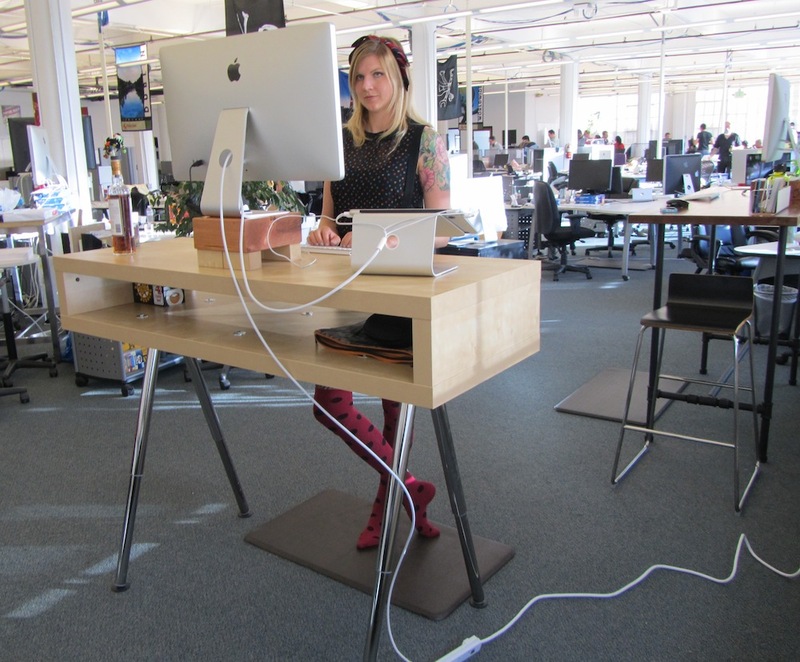 If you work in a standing position you should pay your attention to table or support height. Elbows should form 90°-degree. 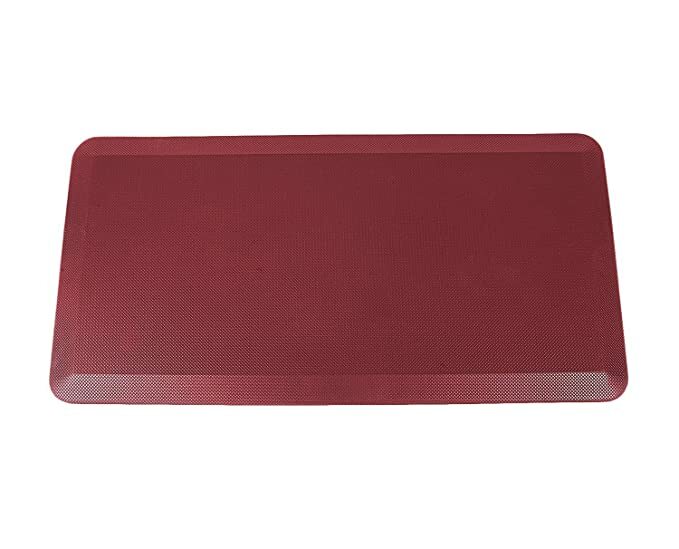 Your hands should lie on the table surface comfortably. Your arms should not be stressed. 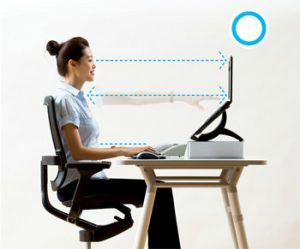 The monitor should be at your eyes level according to the picture below. 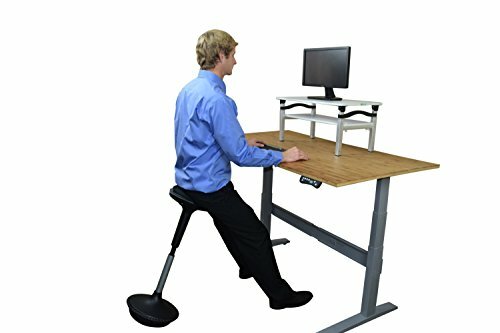 At first it'll be pretty tough to work in standing position for a long time. Therefore, you should combine this work with habitual sitting on the chair. 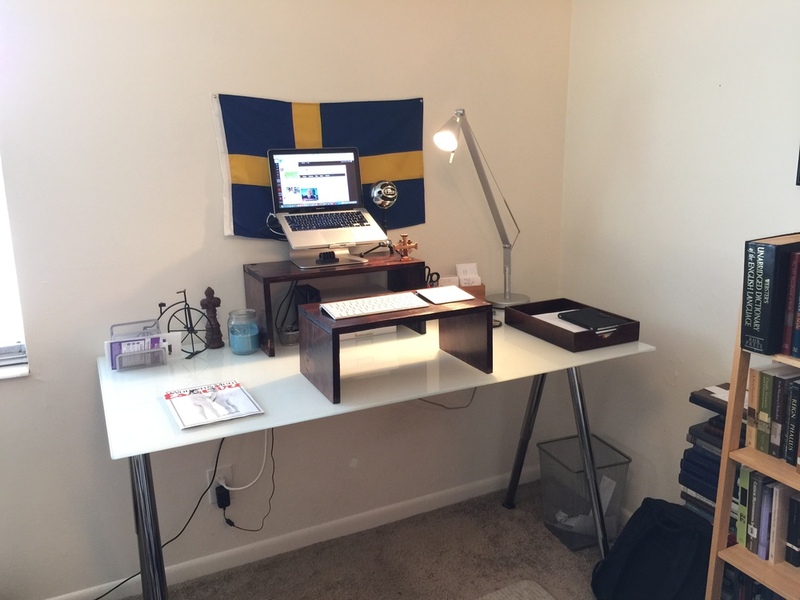 This is the reason why I recommend you to use a height adjustable computer desk. 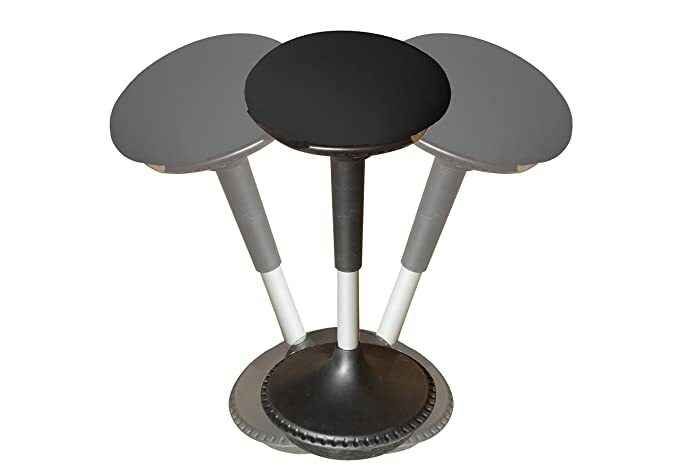 Otherwise, you'll have to use either two tables or a support with necessity to transfer your PC and monitor. If you are not unsure whether it is a right decision for you, then you can contrive a support using improvised means for the start. 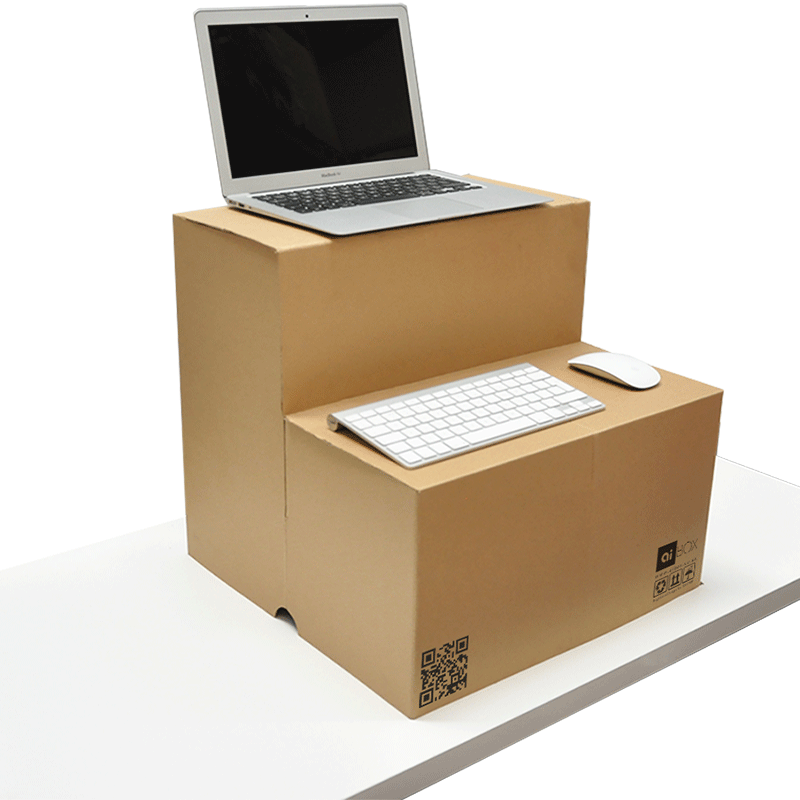 It can be stacked cardboard boxes or a small wooden chair or a little table. 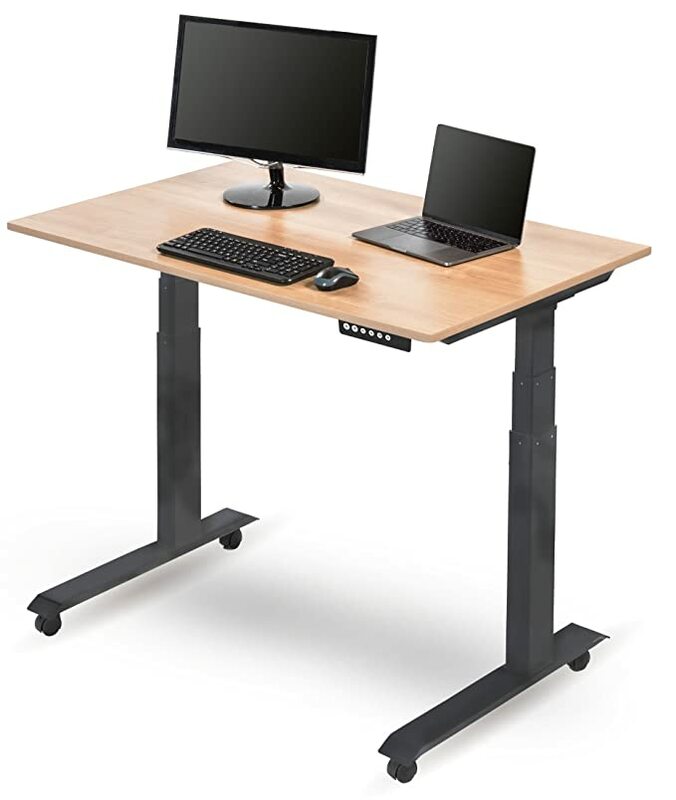 If you feel comfortably, and I'm absolutely sure you will, then you can purchase a full-grade standing desk or a support. 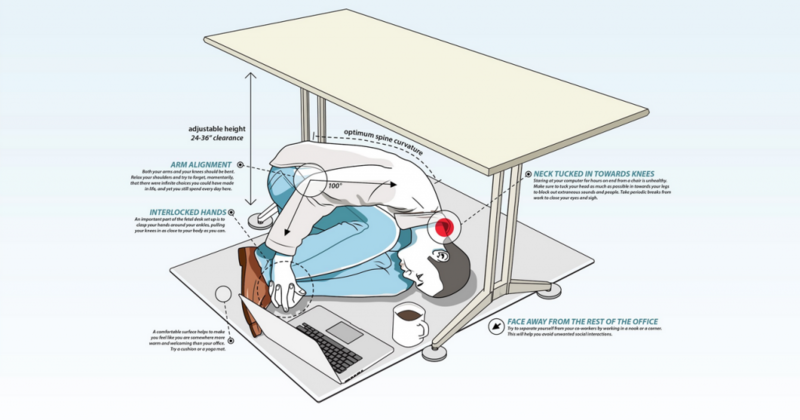 The adjustable desk is preferable, first of all, because its area is greater than the one of the support. Moreover, it can withstand greater loads. 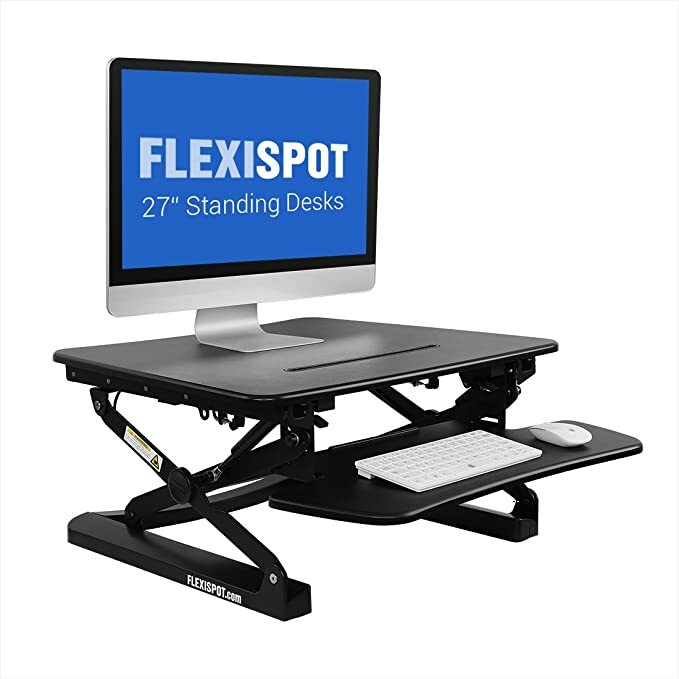 Another alternative could be "Flexispot". 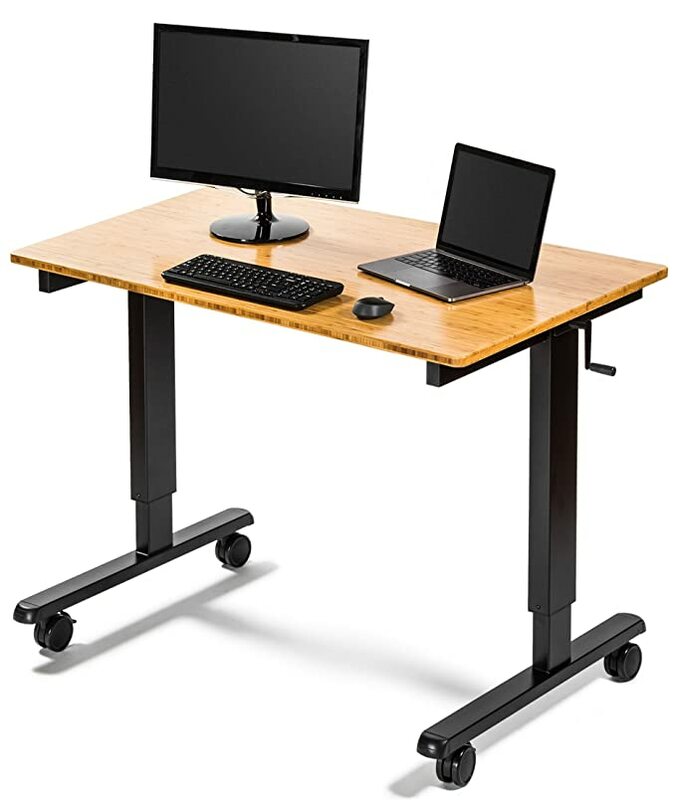 You can install it on to a computer desk. 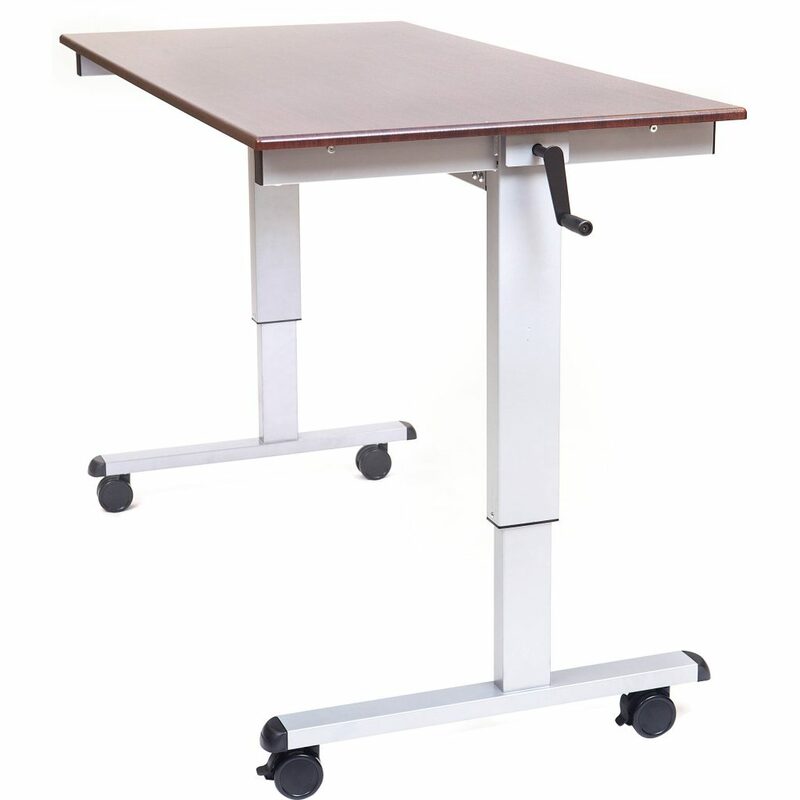 Nevertheless you should care about the proper level of your monitor with the help of various supports. 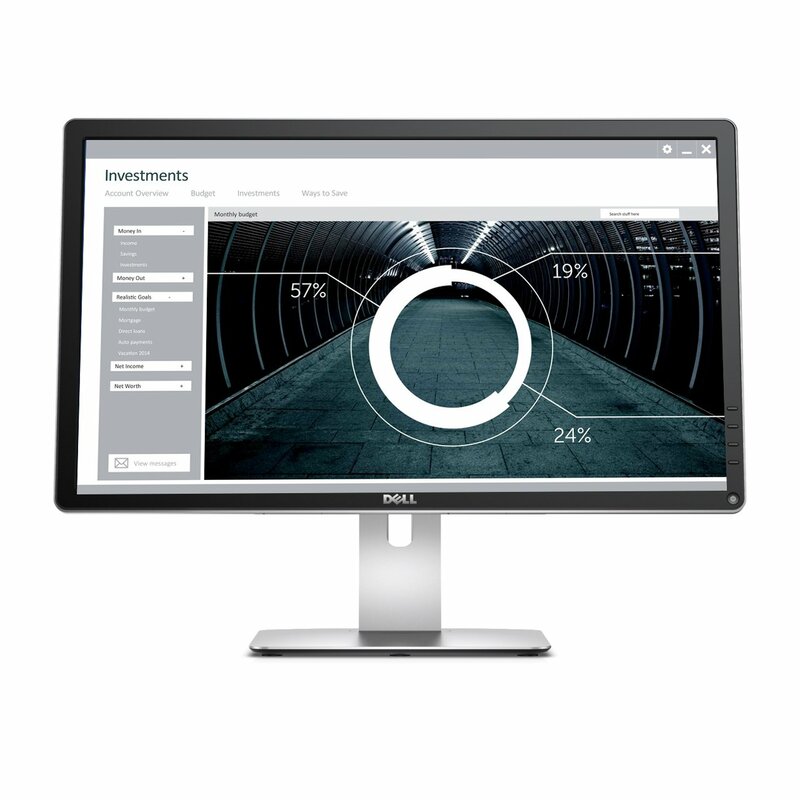 If you are planning to purchase a new monitor I recommend you to consider Dell monitors. For example, this one. It has a great 4k display. 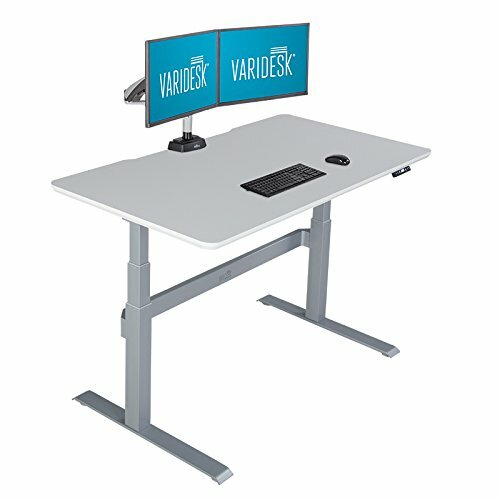 This monitor feature a superior, non-glare, matte screen, convenient height-adjustable foot, ultimate resolution, and possibility to rotate the monitor by 90°. 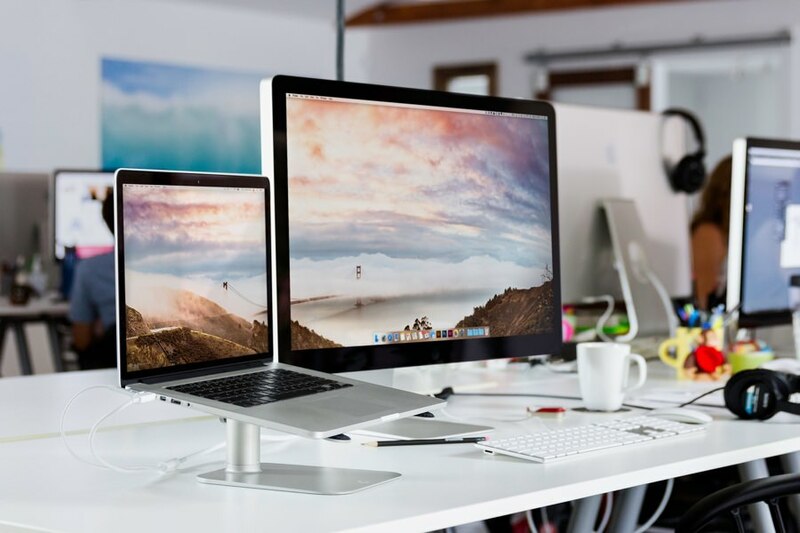 In one of my following articles, I'll explain you why it's necessary to rotate the monitor. Sometimes you can experience an ache in your feet. I suggest to use mats to minimize it. 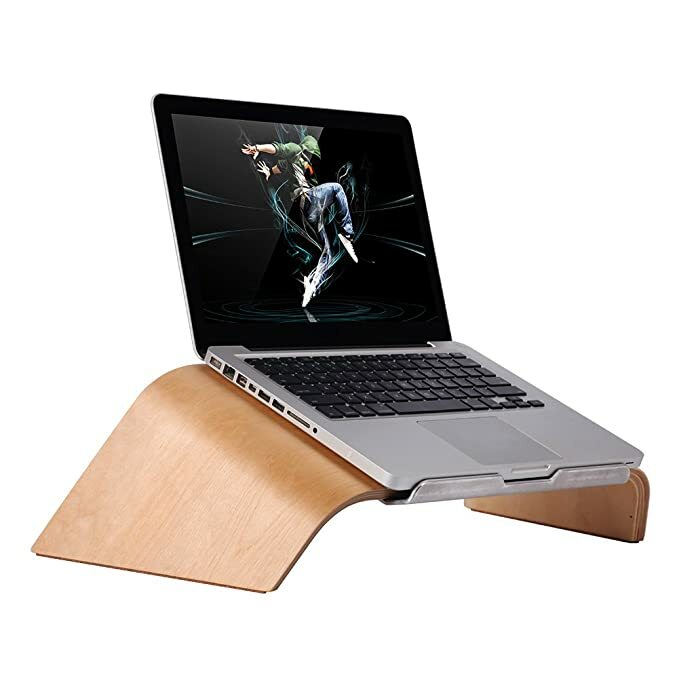 Sometimes you may want to lean against something or to sit down for a while during a long work in standing position. A high chair is a perfect solution. Another important thing about ergonomics is choosing of an ergonomic keyboard and workspace light.